We just finished a great Cat in the Hat program to celebrate Dr. Seuss's 110th birthday! 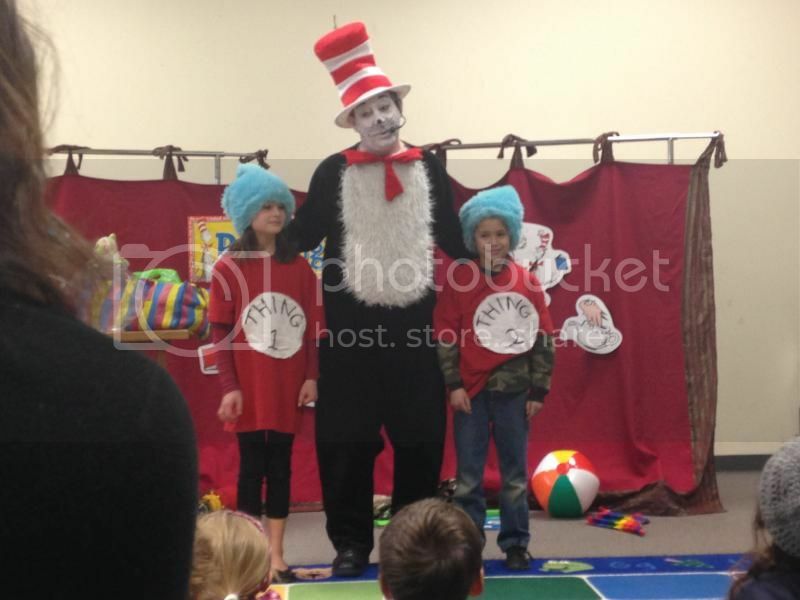 Here's talented performer, Reuben Haller, as the Cat in the Hat, with some audience volunteers as Thing 1 and Thing 2. The kids went crazy for his balancing act, his "Thingcatcher" net and clowning antics. What fun!